Perfect for toddlers and children up to 10-years old. 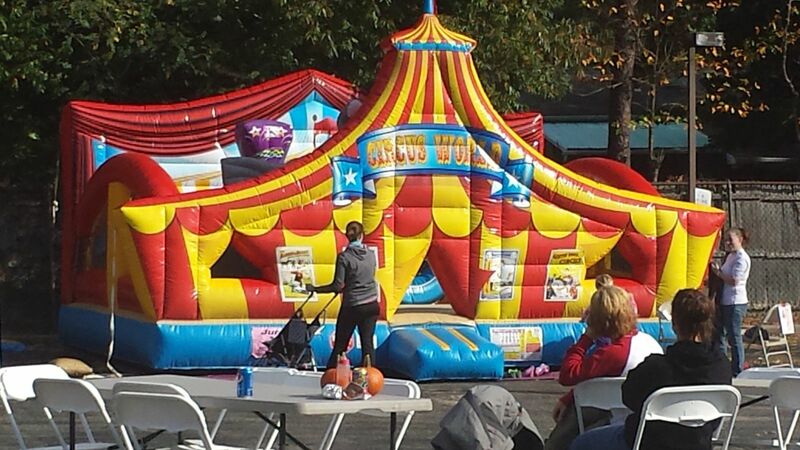 Don’t worry – even the adults can go inside to play with their kids. Take a look at the bright, beautiful artwork around the Circus World Combo. 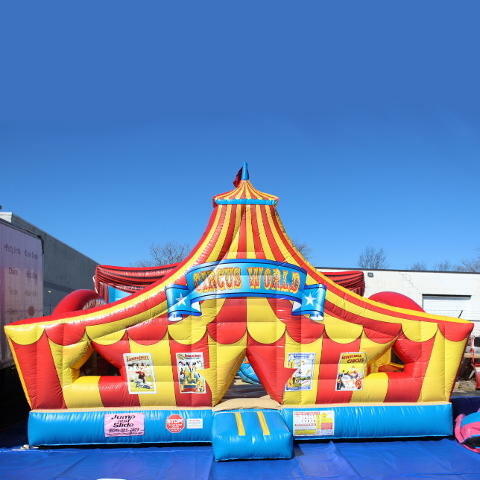 Bounce and crawl in the bouncer, jump through the friendly lion’s hoop, and climb up and slide down the separate slide. It will make you feel like you’re at the circus, which your guests will remember for years to come! This is our most popular item for first birthdays and carnival-themed events.